Stamford, CT—The Patriarchal Catechetical Commission of the Ukrainian Catholic Church, under the chairmanship of Bishop Peter Stasiuk, C.Ss.R., Eparchy of Australia, New Zealand and Oceania, held a two day meeting here, October 23-24, 2017 with the hierarchs and catechetical representatives of the Ukrainian Catholic Church in the United States. 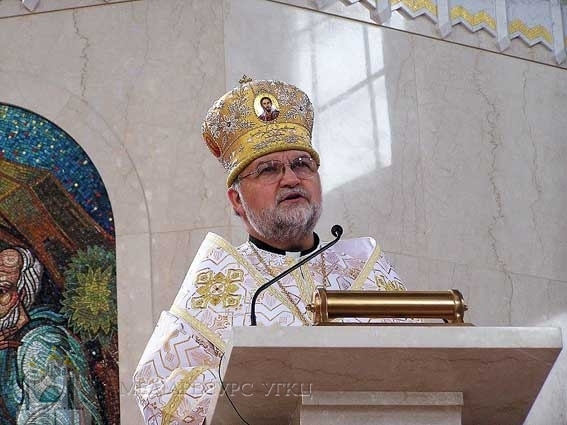 The meeting is one of a series of meetings that the Patriarchal Catechetical Commission is holding throughout the world with eparchial catechetical commissions to assess the present status of catechetical formation and evangelization in the Ukrainian Catholic Church. The findings will be presented at the Patriarchal Synod of Bishops in 2018.